If you're a regular reader of my blog then I'm sure you'll know that my skin is the absolute bane of my life. I have had eczema and psoriasis from being in my late teens and my face has always been dry, but when my health took a tumble and I was prescribed numerous medications to try, my skin also suffered and once my anaesthetist finally settled on some extremely strong medications, my skin settled on being a pain in the posterior and for about the last 9 years or maybe more, my skin has been awful and during the winter is even worse. 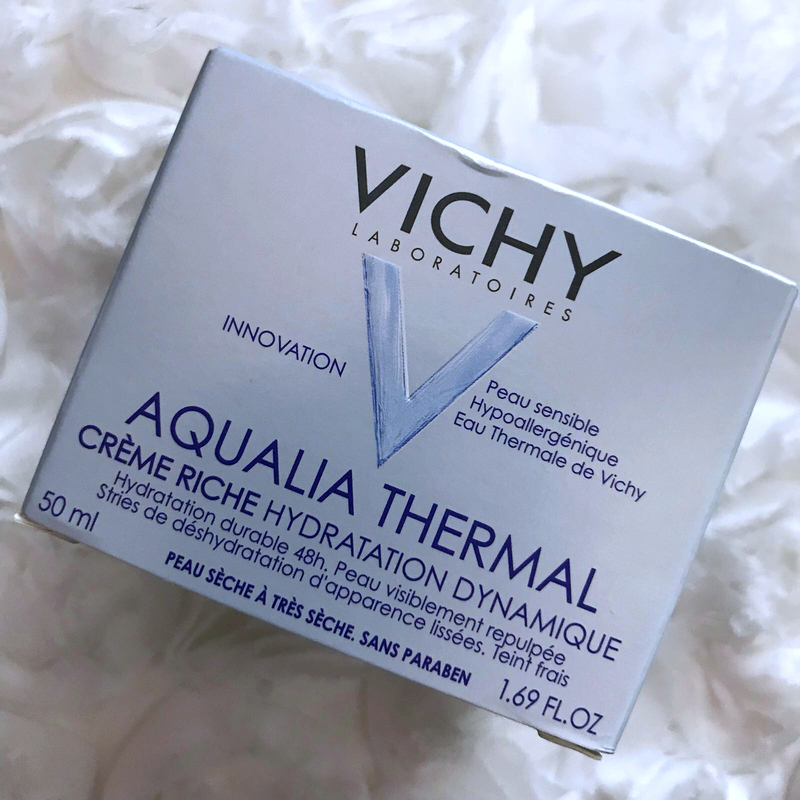 I have tried several different skincare brands and products over the years and a skincare brand I love and that my lovely friend Gemma first introduced me to, is Vichy, their products have never failed to impress me, so when I received a parcel a few weeks ago containing some of their Aqualia Thermal range, I was really pleased. 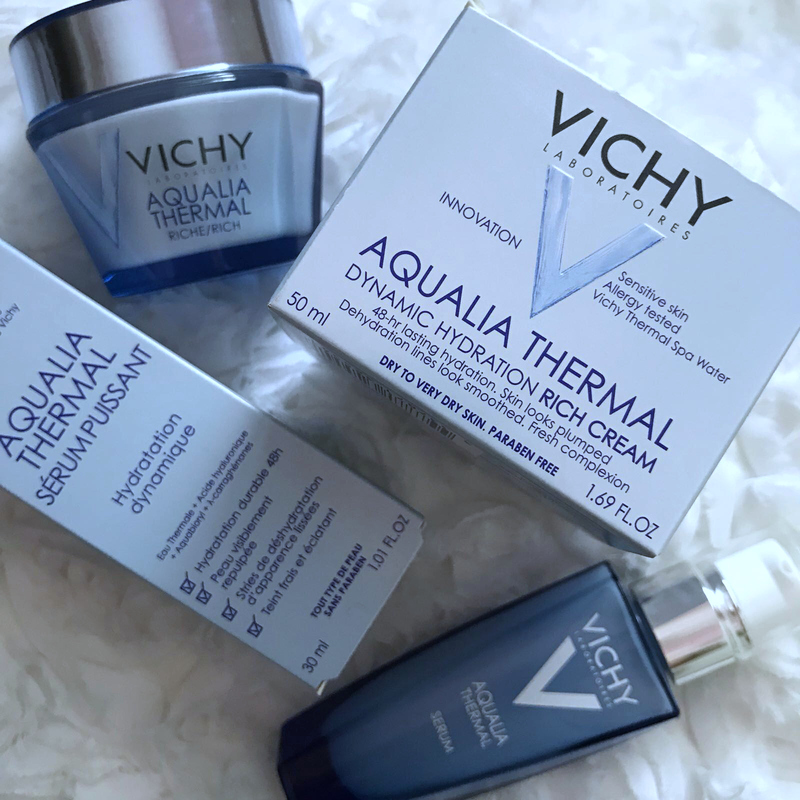 The products I received are the Vichy Aqualia Thermal Serum and the Vichy Aqualia Thermal Rich Cream. I have already used the serum and funnily enough it is my most re purchased serum out of all the serums I have ever used, since first trying it around 2 and a half years ago, and being a blogger and having very dry skin, I have tried a lot of serums so it says a lot that I have re purchased it several times. I have also tried and re purchased the Aqualia Thermal eye balm, but I hadn't ever tried the rich cream and so couldn't wait to try that and see how the serum and the rich cream together would work for my skin, which for the last few months has been absolutely horrendous. Aqualia Thermal Serum is Vichy's most powerful hydrating serum and soothes and restores the feeling of comfort to the skin. A lack of water within the skin causes dehydration lines to appear, the complexion to look duller, and the skin to look less plumped. Having already used the serum and re purchased several times, I knew I loved it. The serum is a white serum that has a lovely consistency, it isn't too thick nor too thin and it has a lovely fresh scent, making it a joy to apply. I use 2 - 3 pumps of serum depending on how dry my skin is after cleansing and toning, I apply it all over my face and around my eye area, I have found over the years that using a good serum and moisturiser under and around my eyes can be as good as an eye cream, depending on the brand/products, but since this serum is excellent I take it around my eyes also. The pump applicator means it is simple to dispense the serum, I like pump applicators on skin care products as they make application so much easier. The serum sinks into my skin almost immediately because of how dry and dehydrated it is and leaves my skin feeling super soft, looking radiant and plumped up beautifully. The first time I used the serum after receiving it, it felt like putting on a very old, familiar and super comfortable pair of slippers, it felt as if my skin was thanking me for using something amazing. 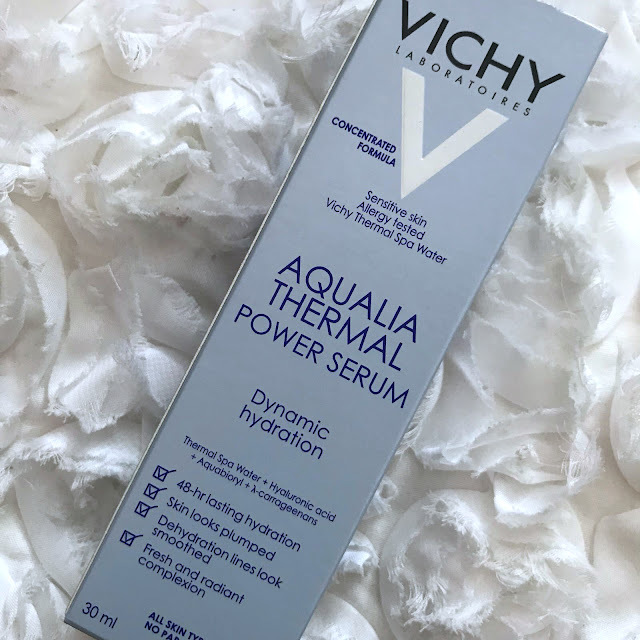 I agree with all of Vichy's claims about the serum, it is incredible and makes a massive difference to my skin and the way it looks and feels. 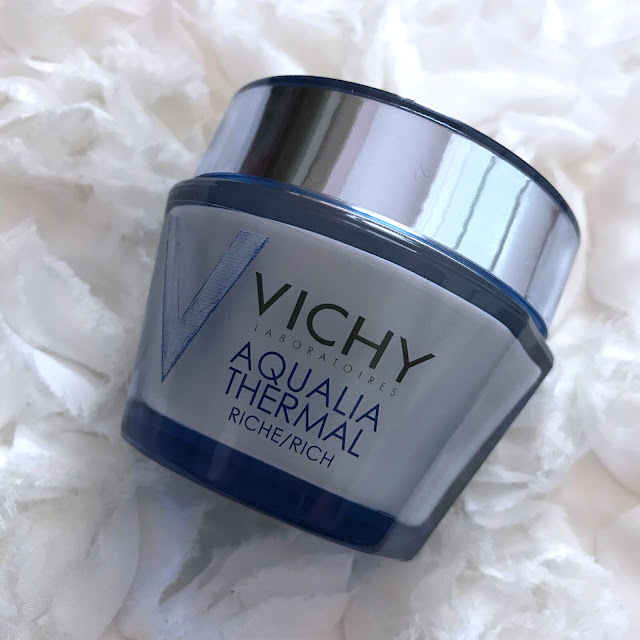 Aqualia Thermal Rich Cream is a daily moisturiser for sensitive and dehydrated skin. It provides intense hydration for up to 48 hours, leaving the skin soothed with a soft finish and no greasiness. 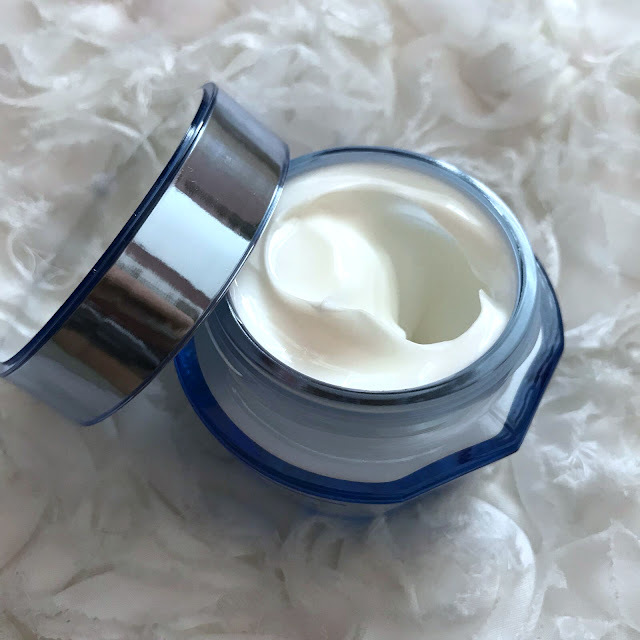 The soothing cream is enriched with shea butter, Hyaluronic Acid and sugars which targets dry and dehydrated areas of the face. Skin is left looking healthy, feeling soft and the complexion looks fresh and radiant. I apply the rich cream after applying the serum and once that has sunk into my skin, it has a lovely fresh scent and is a nice conistency, it isn't so thick it's like goose fat like some moisturisers for very dry skin can be, it has a nice gel like feeling and applies and rubs into the skin really well. I dot it around my face and then rub it into my skin. It sinks in really well and my skin feels absolutely incredible, so soft and smooth and not in the slightest big greasy or tacky, and when I wear makeup, my makeup applies beautifully over the top and looks flawless too and my foundation doesn't cling to any dry patches I may have. The Aqualia serum and rich cream are perfect for my skin and work brilliantly together giving me soft smooth and extremely hydrated skin that looks and feels lovely. There is also a light cream and a night cream available within the range and I will 100% be repurchasing the rich cream, that will now be a firm favourite in my skin care collection along with the serum, both the serum and the cream are amazing products that do exactly what they claim to do and leave my skin feeling and looking amazing. 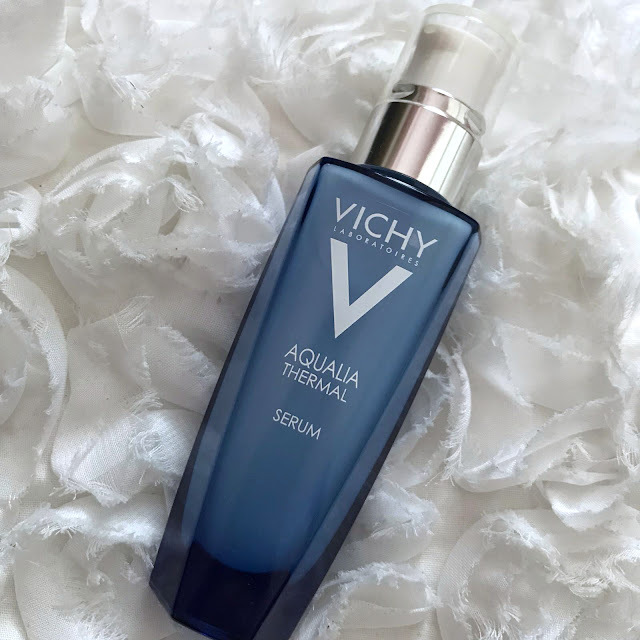 If you have dry or dehydrated skin or in my case, both, I highly recommend you give the Vichy Aqualia range a try, you really won't regret it, the products are incredible and your skin will feel and look so much better from the first time you use the products. I try a lot of different brands and skincare products for review on my blog but I have always gone back to the Aqualia serum and will now be going back to the rich cream too, they are both absolutely amazing products, I wish I'd tried the rich cream before, it has always been on my "to try" list and now I have, I am hooked. 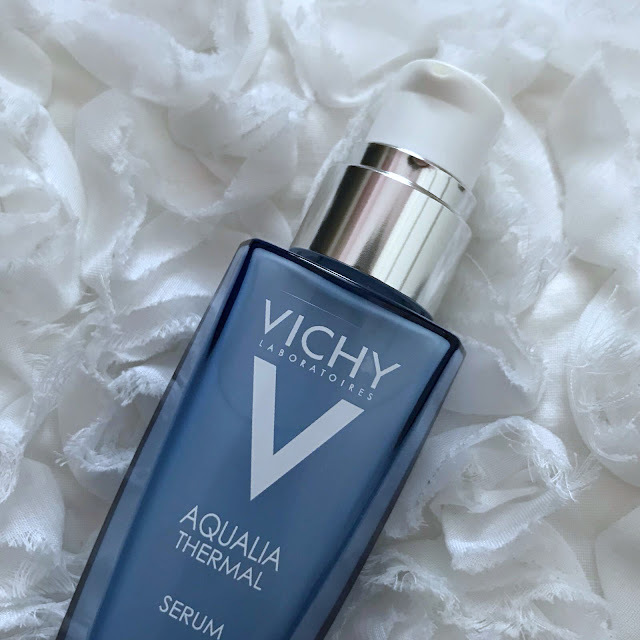 If you would like to give the products a try, you can find the Vichy Aqualia Thermal Serum on the Boots website priced at £25.00 30ml and the Vichy Aqualia Rich Cream on the Boots website priced at £20.00 50ml. Vichy products are currently on a 3 for 2 promotion making it an even better time to try them, or maybe you could ask for some skincare in your stocking for Christmas. 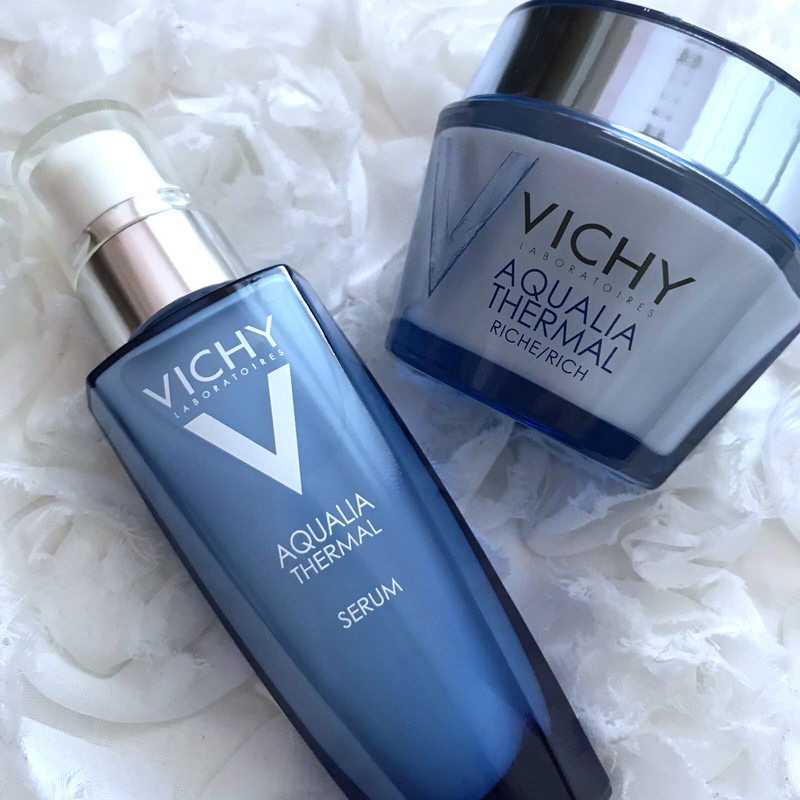 Have you tried the Vichy Aqualia skincare range? Do you love it as much as I do? Let me know your thoughts in the comments below.